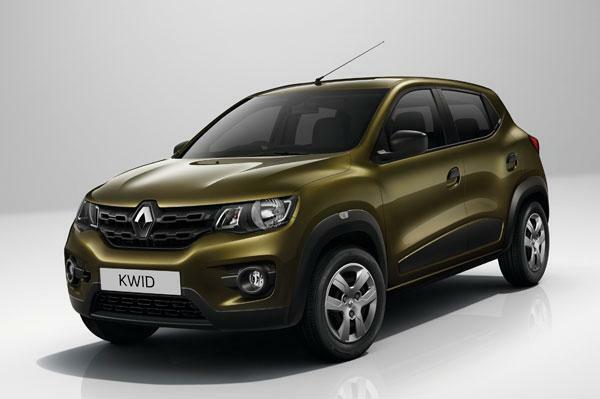 “Kwid” is the upcoming car from Renault. With a down payment of 25,000 INR you could book the all new Renault Kwid. Currently, Renault Kwid bookings are accepted in select dealerships in India. The price of Renault Kwid is expected to be in the range of 3 lakhs to 4 lakhs. Kwid is the most affordable hatchback ever manufactured by Renault. Renault Kwid manufacturing would happen in Renault-Nissan manufacturing plant which is present in Chennai. Renault claims that it has achieved a 98% localisation, because of that it is able to bring down the cost of the hatchback. Renault has also hinted about Kwid in a TVC featuring Ranbir Kapoor, who happens to be the popular bollywood celebrity and brand ambassador of Renault in India. Oscar winning music composer Mr A R Rehman has contributed to the background track of this video. Renault’s new TVC has got over 12 lakh views in just 10 days. Renault’s new Kwid is based on Renault-Nissan CMF-A platform, also seen on the Datsun redi-Go hatchback. Renault Kwid hatchback is going to be powered by a 0.8 litre, 3 cylinder petrol engine that could churn out a maximum power of 57 bhp and a peak torque of 100 Nm. Engine of Renault Kwid has been mated to 5-speed manual transmission gearbox. Renault Kwid could reach a maximum speed of 0 to 100 kmph in just 20 seconds with top speed of about 100- 120 kmph. Talking about the dimensions of the car, new Renault Kwid measures 3,680mm in length and 1,580mm in width, and comes with a pretty good ground clearance of 180mm. Kwid will sport dual slat grille, swept back headlamps and plastic cladding on the sides. The launch of Renault Kwid hatchback indicates that company is quite serious in getting into Indian market. Renault currently has 157 dealerships in India and is planning 280 outlets in India by next year.